Add some stunning storage to your home with the Stone Buffet with Two Glass Doors and Three Drawers! 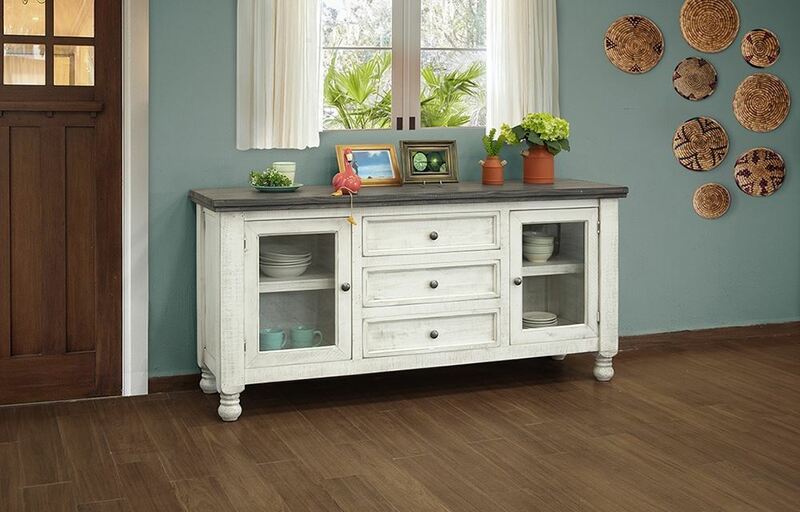 This beautiful piece features solid pine, a white finish, and a stone colored top. Never worry about running out of storage with the two glass doors and three drawers. Bring home the Stone Buffet with Two Glass Doors and Three Drawers today! Add some stunning storage to your home with the Stone Buffet with Two Glass Doors and Three Drawers!